In July/August, I went to Europe with my family. We visited London, Oxford, Paris, Geneva, Venice, Florence, Pisa, Rome and Vatican City. 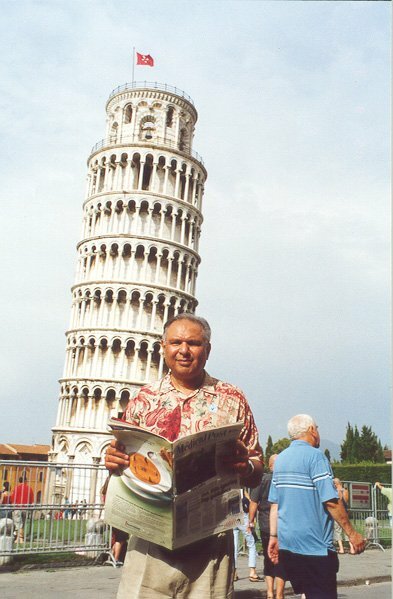 It was interesting to visit the Leaning Tower of Pisa. Its construction began in August of 1173. It took about 200 years to build with couple of long interruptions. Towers inclination started when the third floor was built – it has eight floors. In the last couple of years, steps have been taken to reduce the inclination. It is again open to public. The tour guide told us that it is now good for another 300 years. The more I looked at the Tower the more it reminded me of our health care system. It has been in crisis since I joined the system 17 years ago. Like the Tower, the health care system is expected to collapse anytime but continues to survive with lot of band-aid solutions and Royal Commissions. I would not be surprised if it outlasts most of the present generation of doctors.